Play 2DS/3DS games! Sit in Yoshi eggs! Poke Kirby! To "play Nintendo" was once a phrase attributed to the use of just about any electronic entertainment device. Not so much anymore, with the wider variety of choices out there, but Nintendo is bringing the term back somewhat with a 12-city summer tour. It looks as if some, if not all, of the games will be presented in their own themed zones. These will include such fun furniture as banana-shaped seats, Yoshi egg chairs, and a giant Pokéball. 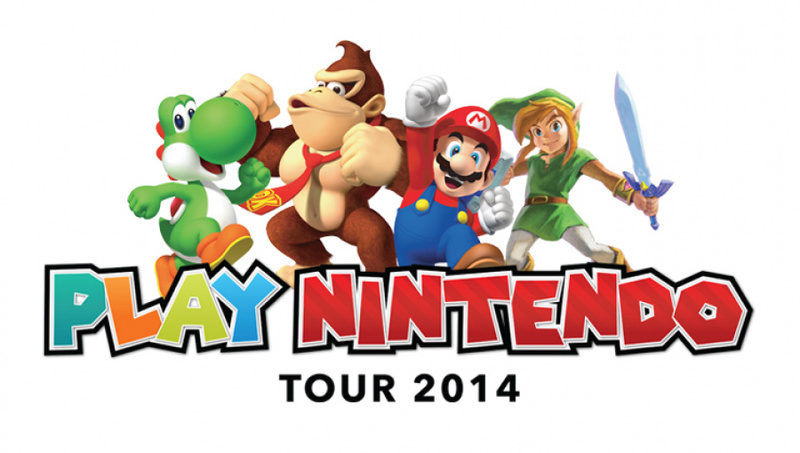 Fans will also be able to meet figures such as Mario, Luigi, Donkey Kong, and Kirby. Please do not attempt to incite them into a spontaneous Smash Bros. match. 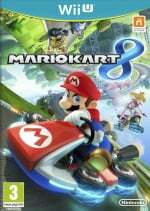 Racers will also be able to compete on Mario Kart 7 in the Mario Kart racing area. Winners of qualifying rounds will get a chance to compete on-stage with Mario Kart 8 in full HD, giant-screen glory. If you live around these areas, do you plan on making a stop to play some Nintendo? Do you dare even play Mario Kart beneath the unyielding stare of Luigi? Let us know. Wha? Why just 3DS games? Where are the Wii U games? Isn't that the system that needs more marketing atm? And the closest one is five hours away. As much as I'ld like to join the "Wii U needs this more than 3DS" crowd, b/c, well Wii U does need this more than 3DS, I can understand where Nitneod is going w/ this. The focus on 2DS and "kids and kids-at-heart" is b/c Nitnedo should be deathly afraid of losing the new gamers - lets say kids 2 - 5 - to tablets and smartphones. I've been saying for the past couple of years that Nitnedo should release "app" games to market to these kids but if they dont want to go that route than pushing the 2DS hard at toddlers is their only real alternative. Along w/ Happy Meals, tv programs, and breakfast cereals. Don't laugh, the Lucky Charms Leprechaun is probably as popular w/ kids as Mario and all he ever did was be a breakfast cereal mascot. And Tony the Tiger is great! I think the Kool-Aid man lost it after Jonestown though. So yeah, roll out the 2DS and the kids games - no fire Emblem or Bravely Default on the list - and help these kids help themselves. At least Nintneod is thinking of the children. Awesome, I'll have to check it out if nothing more than street passes and photo ops. @rjejr I don't think I have ever seen someone misspell Nintendo that many times. Aside from that I do agree that Nintendo does need to capture the really young gamers more than they currently do. Poking Kirby has to be one of my lifelong dreams. I think this is a smart idea. Yes, the Wii U needs a lot of marketing, but it might be beyond help at this point. They can't throw everything at a platform like that and ignore the 3DS, a platform that's struggling over the last six months or so, but clearly CAN be a success as it's sold very well for the 3 years prior. Their handheld division might be what keeps them afloat for the next 3 years, so they have to take good care of it. @PuppyToucher - I always misspell Nintendo. Sometimes I spellcheck it, sometimes I don't, but I always misspell it. Spellcheck usually brings back Nitrate so I have to do it by hand, it's a pain. @TimLatshaw - There's something so inherently disturbing about that image I feel certain it's going to show up in a Miley Cyrus video. And, as usual, nothing in my state. It's disappointing that we never get any events like this where I live, I would have loved to go and be a part of this. @TimLatshaw DAT'S what I'm taking about! How in the world is there nothing close to me? I am right in between Philadelphia, New York City, and Atlantic City. This is just disappointing. What about Canada? And seriously, why not Wii U games? That's the system they should be showing off, it's so much fun and not many people know it! As usual nowhere near me. We'll looks like I'll be skipping out on the Nintendo Tour again this summer since the closest one is nearly 10 hours away. Too bad there are no Wii U games, let alone E3 demos. Come on Nintendo! Super Mario 3D Land came out 2 1/2 years ago. Why not show off a newer game like Super Smash Bros. for the 3DS (they could make a demo version)?! Heck, even New Super Mario Bros. 2 is newer. I have all these games already too, but my kids would LOVE this. Definitely going. Strange how there's no Wii U games. If I was a worker at Nintendo, that's the console I would've chosen. Though I assume they have their reasons. Selfie in a Yoshi Egg chair! Gonna make my niece SOOOOO jealous. It stinks how everything comes to California but I live pretty much as far away from where the stuff ends up as possible. I'm a nine-hour drive from LA. OK I see why they are showing 2DS games, but why not Wii U as well? They are trying to appeal to the next generation with the 2DS, but if they are going to this much trouble for the tour, wouldn't it be beneficial to also include Wii U games (besides Mario Kart 8)? No Wii U because Nintendo is dumping Wii U after 2014 and going with new system that actually sells. I'd also like an event in my area. Come on players! I'm in NY... the closest is North Carolina... 3 days away! @Kaine_Morrison Wow! That's pretty sad that it's that far away from NY. However they do have the Nintendo store there. I wonder if Nintendo knows that West Virginia is a state. I'm honestly starting to think they don't. @Guitardude7 I agree completely, the wiiu seems like a half-assed effort by nintendo. @MagikarpSplash I hope you weren't being serious since that would not really help Nintendo, it would create a huge fuss for everybody. I wish these kind of events would occur at Canada more frequently, though Smash Fest will be available at a place near me so I'm not complaining. I live close to one of the cities, so I may go to it for a little while. I hope the admission charge (if one, though i'm sure of it) will be reasonable. I'm not too far from the chicago , iilinois location but if it's closer south to me then that'll be a plus. I'm gonna try to attend. They will probably recognize me there. hey ninty: why u no love the northeast??? @VIIIAxel where do you live? Hopefully I can catch the LA one. I'm like 15 mins away but dat traffic. @DerpSandwich yeah damn perfect weather, hot girls and beaches. Ugh. @Kobeskillz I can't stand the traffic, as you said, and the desert and the terrible water and just the huge grossness of so much city... But to each his own, I guess. There's a lot of great stuff there too. I'm up in Redding, I gotta have mah trees. Pretty cool. And yeah Wii u needs more help but Nintendo has to still focus stuff on 3ds too. Besides Wii u will be front and center at e3. THAT PICTURE IS PHYSICAL PROOF OF THE THEORY OF PWNAGE!